In the very late 1990s, I was still fairly new to PCs, having spent most of the decade previously working in mainframe environments. Microsoft Paint was a novelty, therefore, and I did a lot of experimentation using the program. I recently found four of those drawings and grouped them together under the "Bitmap Quartet" moniker. Since the mid-1980s, I've had a fascination with Requiem Masses and have endeavored to collect as many of them as are available. I find them endlessly interesting and that many composers have created their best work when contemplating mortality and the afterlife. 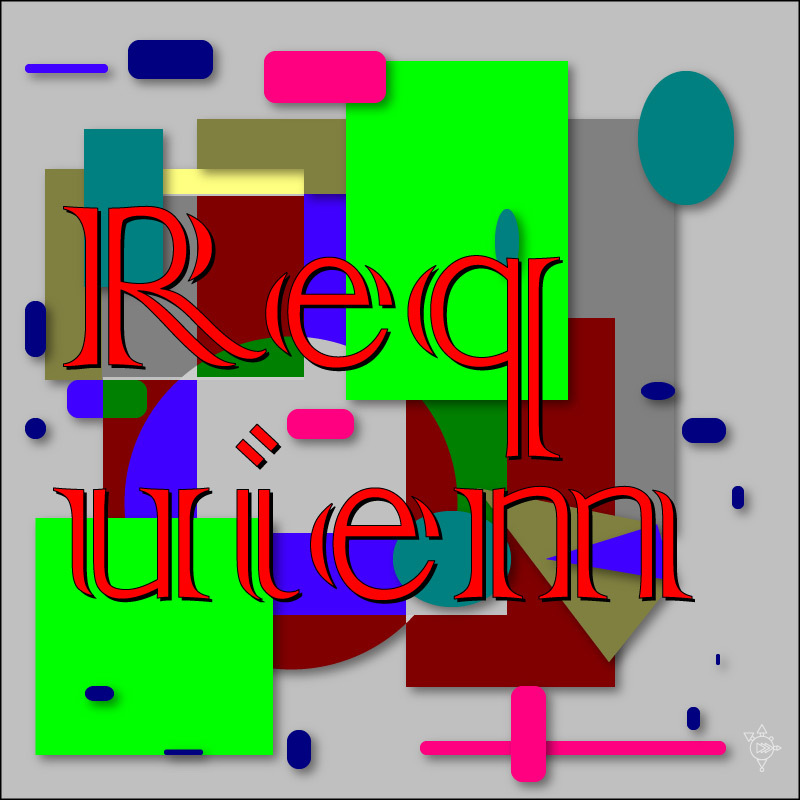 I also think that the word "requiem" has endless artistic uses: it's just a pretty word.